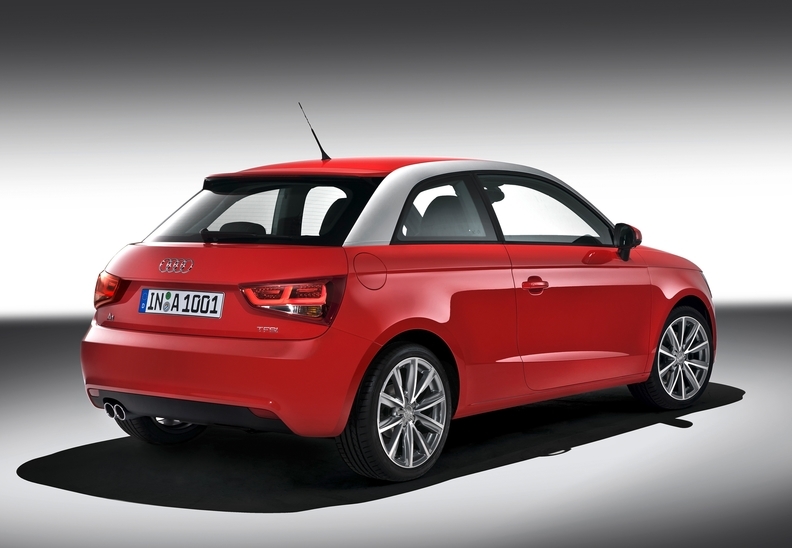 Audi is aiming its new A1 at buyers who prefer its modern styling to the retro design of BMW's rival Mini. Automakers will go on the attack against depressing sales forecasts at the 2010 Geneva auto show by unveiling a flurry of new products to counter a post-scrappage sales hangover. With new-car sales forecast to slump by at least 1 million in western Europe this year as countries end or wind down scrapping incentives, most carmakers will use the show to debut sensible, mainstream models, shunning the exotic, high-powered dream cars that often used to be at the center of their Geneva stands. The Audi A1, the brand's long-awaited rival to BMW's iconic Mini, will be seen in its production form. Audi will also show a hybrid concept for its A8 flagship sedan while BMW will preview a hybrid 5 series. 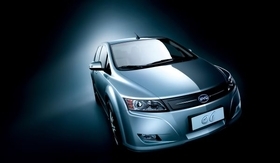 China's BYD will display electric cars that it plans to launch in Europe and North America. GM's luxury Cadillac brand will use Geneva for a European relaunch. Below is the first part of Automotive News Europe's A-Z guide of Geneva auto show debuts covering automakers from Alfa Romeo to Chrysler. Alfa Romeo's new Giulietta hatchback will be the first Fiat group car to use the company's new Compact vehicle architecture, which will also be used in North America for new Chrysler, Jeep and Dodge vehicles due in 2012-2013. The Giulietta compact will give Alfa new impetus in one of Europe's most important segments, which is led by the Volkswagen Golf. 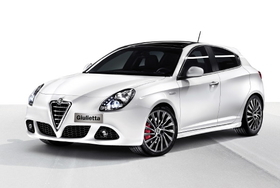 The Giulietta will go in sale in Europe in April and will replace the 147, which launched in 2000. Fiat S.p.A. currently has no plans to export the Giulietta to the United States. Italian design houses Bertone and Pininfarina S.p.A. will unveil Alfa concept cars at the show. Pininfarina's concept is for a two-seat spider based on the current Alfa Spider. The concept celebrates Pininfarina's 80th anniversary and Alfa's centennial. Bertone will unveil the Pandion, a prototype of a 2+2 coupe based on the Alfa 8C Competizione supercar. Aston Martin will unveil a production version of its tiny Cygnet city car, reports say, and there's speculation that it may be launched only as a full-electric car. The British sports car brand is not confirming the Geneva debut, saying only that it is continuing work on the Cygnet project unveiled last year and it hopes the car will become a production reality in 2010 initially available to Aston Martin customers in Europe. 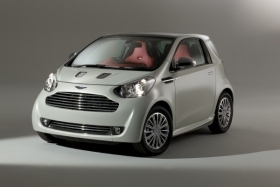 The Cygnet is based on the Toyota iQ micro city car and will be sold to Aston Martin owners at twice the price of the iQ, which sells in Germany for 12,700 euros (about $17,400). For the extra money, Aston customers get a car with modified bodywork and a luxurious, all-leather interior. Audi's Geneva show stars are the A1 premium subcompact car, a hybrid version of its new A8 flagship sedan and the high-performance RS5 coupe. With the new A1 hatchback, Audi has created a stylish, fuel-efficient premium car with a more modern look than BMW's retro-styled Mini at a price comparable to its main rival. Audi will show a three-door A1 in Geneva. A five-door variant could come next year. When it goes on sale in Europe in May, the A1's starting price will be 16,000 euros ($22,000), which is below the 16,600-euro starting price in Germany for a Mini One with a comparable engine. Audi wants to sell 80,000 A1s a year and is aiming the model at young, upwardly mobile people living in urban areas. The automaker hopes to attract buyers age 25 to 35 who prefer the A1's modern styling to Mini's retro design. 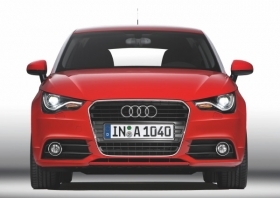 The A1 likely will only be offered in Europe for the time being. Johan de Nysschen, Audi of America's president, told Automotive News last October that the next-generation A1 could be sold in the United States, but that will be about eight years from now. The full hybrid A8 is part of Audi's strategy to bypass mild hybrids en route to full-electric vehicles. CEO Rupert Stadler says there are more synergies between full hybrids and future electric drivetrains than between mild hybrids and electric cars. Audi also will debut its RS5, the latest addition to its high-performance RS line. Based on the A5, the coupe has a 440-hp, 4.2-liter V8 engine mated to a seven-speed S tronic dual-clutch transmission. The RS5 will go on sale in Germany this spring, with a base price of about 77,700 euros. Bentley will debut the Continental Supersports Convertible, which the British ultraluxury brand says is the fastest, most powerful droptop it has ever built. The car has the same 621-hp, 6.0-liter twin-turbocharged W12 engine as its sister model, the Continental Supersports Coupe, which went on sale last year. 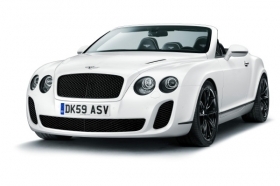 The Continental Supersports Convertible will go on sale worldwide in mid-summer. It has a top speed of 202mph (325kph). Bentley also supported Italian coachbuilder Touring Superleggera to create a limited-edition shooting brake variant of the Continental GTC, which will also debut in Geneva. Only 20 units of the Bentley Continental Flying Star by Touring will be built, with prices starting at 590,000 euros ($797,000). To increase cargo space from the standard car's 400 liters to 1,200 liters, the Bentley Continental Flying Star by Touring has independent seats that are foldable to create a flat cargo area. 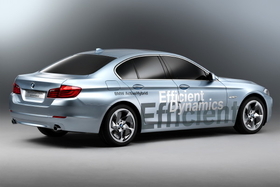 BMW will give a show debut to its new 5 series and also unveil a hybrid concept of the car. BMW released details of the latest 5-series sedan late last year. The non-hybrid 5 series will go sale in Europe starting in March and in the United States in the summer. The hybrid's market launch is planned for early next year. The 5 series accounts for just over half of BMW's profits. The sedan has been restyled and re-engineered in a bid to keep it ahead of rivals such as the recently renewed Mercedes-Benz E class. The 5 series hybrid concept showcases the next generation of BMW's ActiveHybrid technology, which BMW says, combines a straight-six power unit with an electric drive for the first time. China's BYD, which stands for Build Your Dream, says it will outline its plans to launch the e6 full-electric car in selected European markets. BYD is aiming to enter the Western European market for clean technology cars in 2011, following its plans to export electric cars to the United States as soon as this year, marketing department manager Paul Lin told Reuters Feb. 23. The company displayed the e6 at the Detroit auto show in January. Cadillac sales in Europe were hit by the collapse of its regional distributor Kroymans Group in March 2009. With new models coming and improving economic conditions, GM is ready to relaunch its luxury brand in Europe. 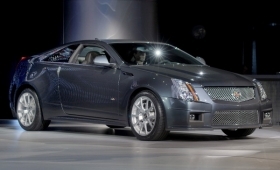 In Geneva, Cadillac will give its CTS coupe a European debut. The car will go on sale in Europe this autumn after its summer launch in the U.S. The CTS Sport Sedan and range-topping CTS-V, both on sale now, will also be on display in Geneva, along with the CTS Sport Wagon, which will go on sale later this year. A redesigned SRX crossover also will be shown. SRX sales start this summer. Cadillac's European sales have been handled out of General Motors Europe's offices in Zurich, Switzerland, since Kroymans collapsed. 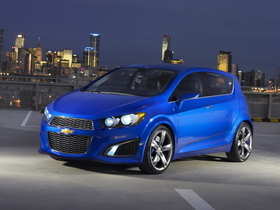 Chevrolet aims to more than double car sales in Europe including Russia to 1 million by 2015 from 425,874 last year. In Geneva the General Motors Co. division will show three cars it hopes will help it achieve its volume goal. The most important will be the Aveo RS hatchback concept already seen at the Detroit auto show in January. The concept previews a new Aveo that will launch in Europe in 2011 and will be more modern as well as longer and wider than the current car. Chevrolet also will show the Orlando compact minivan concept from the 2008 Paris auto show. The Orlando will launch in the United States and Europe in 2011. Also on display will be the Camaro, which Chevrolet plans to sell in Europe as a halo car. Chrysler and Lancia will host a joint press conference and share a stand in Geneva, although they won't be showing any new cars. Fiat's near-premium brand is ailing and sales are poor outside its home market of Italy. To freshen Lancia's lineup at minimal cost, Fiat CEO Sergio Marchionne has said four Chrysler models will be imported from North America and rebadged as Lancias in Italy in 2011. Lancia will sell versions of the Sebring sedan and convertible, Town & Country minivan and 300C sedan. The models will be sold in Europe outside Italy as Chryslers, company sources say.